Events in Wiltshire during October, November and December brings visions of Christmas, fireworks and carnivals. Winter Festivals are delightful. Stourhead has some great events over the festive season with only the normal admission charge. Swindon and Crickland Railway have a Ghost Train! Calne Music and Arts Festival TBC All genres of music, art, talks, drama and dance. Racing will be 3rd October 2019 at Salisbury Racecourse. Literary Festival Mere 7th to 11th October 2019. At Mere of course. Talks, films, authors, altogether an interesting week. Calne Remembrance Sunday St Mary's Church and Town Centre 2nd Sunday in November. Festival of Light at Longleat Selected dates from 9th November. Chinese Lanterns and a winter wonderland of light. Warminster Christmas Market and Christmas Lights Switch on TBC Civic Centre. Christmas House TBC Free but normal admission charges apply. See Stourhead decorated for Christmas. Calne Winter Festival and Lantern Parade. 2019 TBC. Christmas lights, parade, carols, stalls, with a fireworks. Town centre. Very popular indeed. 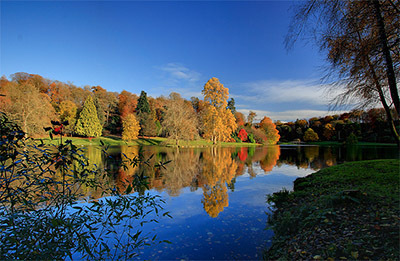 Stourhead is not far from Mere and a very attractive place indeed. It is a National Trust property and includes the village of Stourton. Makes for a great day out. Has a beautiful garden - relax! Trowbridge. 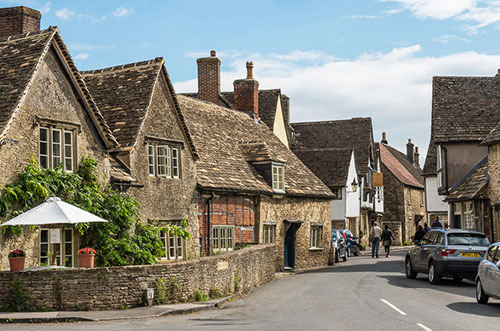 Nowadays the county town of Wiltshire. Shorthand writers - it is the birthplace of Isaac Pitman. The town centre is undergoing an exciting revamp. Salisbury one of the gems of Wessex, a city with great shopping, a magnificent cathedral, historic buildings and to cap it all it is a good centre for touring the prehistoric county of Wiltshire. Warminster is a town on the western side of the county. For the genealogists amongst us - As it is now the centenary of the First World War it is interesting to note that many soldiers from Australia, New Zealand and Canada were in camp in the villages around. Warminster is quite a beautiful market town with a Georgian facade. Mere is on the borders of the county and of Salisbury Plain. It is a quite attractive small town. Plenty of walking and cycling opportunities in the area. Longleat House is a beautiful stately home and owned by the Marquis of Bath. The animals roam free in the Safari Park, it was the first of its kind outside Africa. A very popular tourist attraction not far from Warminster or Frome. There are many events throughout the year. Marlborough is an ancient and attractive market town on the north eastern side of the county set in a lovely rural area. Ancient it may be but it is modern as tomorrow. Good shopping. 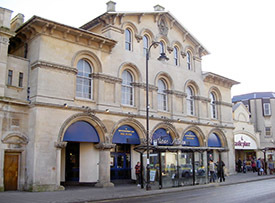 Swindon was made famous as a railway town. It is still a progressive town and expanding rapidly. The Old Town - try the alleyways and then the modern pedestrianised shopping centre. Experience the ambience of both. Swindon is a major centre and an important business town. Calne, a pretty and historic town. Walk along the pretty river. The town is popular and growing fast. There is a white horse carved in a chalk hillside at Cherthill, sits below the iron age fort of Oldbury Castle. Westbury has another white horse. Some folk consider it is really ancient and celebrates King Alfred's victory over the Danes, but others consider it is an 1800's invention as some other white horses in the district. The town has an important railway junction which makes for easy access. Road access is good too. Not all have their own websites.